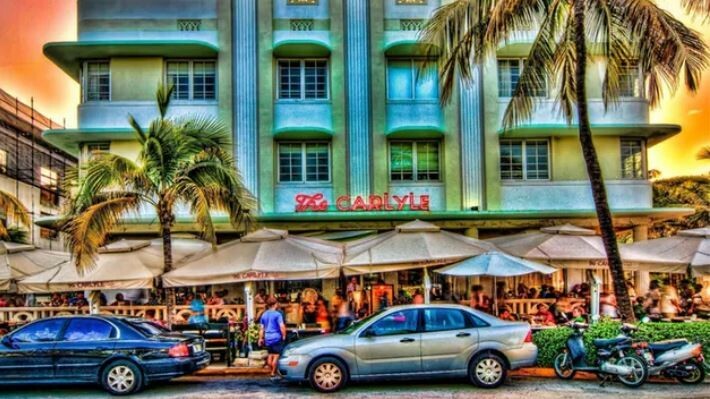 South Beach is so much more than restaurants, beaches and party people! It is also home to a neighborhood brimming with colorful history, culture, and Art Deco buildings. During your tour the guide will enlighten and entertain you with fascinating facts and historical tales of pioneers, the unlikely hero who saved the Deco buildings from further demolition, and the transformation of this swampland to a tropical paradise. Be transported in time while you admire architecture on the outside and admire the contemporary design and decor incorporated into the original interiors. You’ll literally walk away inspired that the buildings before you will no longer stand as just concrete structures but as relics of history and art. Immerse yourself in the Miami culture with one of our enthusiastic tour guides. Get exclusive access to buildings/rooftops in a small and intimate group (maximum 8 people). Hear how Miami culture has flourished and what influences make this city the colorful and prosperous city it is today. We will mostly walk outside throughout South Beach primarily between 10th and 15th streets. The tour steps inside a few buildings to point out Art Deco, modern design, decor and other highlights. Return home with more than a sunburn and sand in your shoes. Impress your friends and neighbors with an entertaining history of Miami Beach–the architecture, the role of the Miami Vice series and the influence of the fashion industry and the mafia. Or don’t tell them and beat them at Jeopardy or Trivial Pursuit. Did you know Miami Beach was the only city to prosper during Prohibition and the Depression? Miami vices actually galvanized the young city.